We are going to be centering on the basics of an increasingly important portion of a buyer’s mortgage application – the credit score. Repository – they are huge “holders” of data; information about you and millions of other people. Credit Reporting Agency (CRA) – these “repositories” get their data when creditors and courthouses “report” to them; and when you pull someone’s credit report, they in turn “report” that data to the entity that requested the information. What is a Credit Score? It’s a number that, at a glance, helps lenders determine how likely you are to make your proposed payments on time. How is it generated? A score is only created when you pull someone’s credit file, and all the data retrieved is fed through a complex mathematical formula. As a person’s data at the repositories changes, their score would change also….positively or negatively. Why are scores different? Fair Isaac Corporation (FICO) created the mathematical formulas that generate the score, BUT…. There are different score formulas depending on what you are applying for….a mortgage, credit card, auto loan, insurance, or even if you are not applying for anything at all and get a “consumer” score directly from one of many websites that advertise “scores” these days. Fair Isaac sold their original formulas to XP, TU, and EF, which in turn, slightly altered them based on their own studies and analysis. The 3 bureaus typically don’t have the exact same data on a consumer. So, if the data is different or has changed, the scores will also be different. 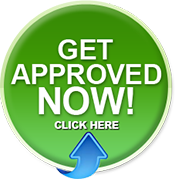 The FICO score on your mortgage credit report – The score range is 300-850.
b. Presence of adverse public records (bankruptcy, foreclosure, judgments, suits, liens, wage attachments, etc.) collection items, and/or delinquency (past due items). c. Severity of delinquency (how long past due). d. Amount past due on delinquent accounts or collection items. e. Time since (recentness of) past due items (delinquency), adverse public records (if any). f. Number of past due items on file. a. Amount owing on accounts. b. Amount owing on specific types of accounts. c. Lack of a specific type of balance, in some cases. d. Number of accounts with balances. e. Proportion of credit lines used (proportion of balances to total credit limits on certain types of revolving accounts), often referred to a Percentage of Usage. f. Proportion of installment loan amounts still owing (proportion of balance to original loan amount on certain types of installment loans). a. Time since accounts opened. b. Time since accounts opened, by specific type of account. c. Time since account activity. a. Number of recently opened accounts, and proportion of accounts that are recently opened, by type of account. b. Number of recent credit inquiries. c. Time since recent account opening(s), by type of account. d. Time since credit inquiry(s). e. Re-establishment of positive credit history following past payment problems. a. Number of (presence, prevalence, and recent information on) various types of accounts (credit cards, retail accounts, installment loans, mortgage, consumer finance accounts, etc.). 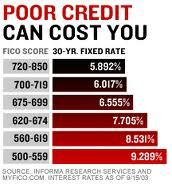 This is always a hot topic because borrowers think they will hurt their score because their credit report is pulled. 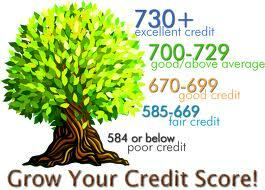 But as explained above, New Credit only accounts for 10% of a person’s score, and of that, inquiries is only a part. Also, keep in mind what an inquiry represents – application for additional credit. If your credit report and score shows that you are a responsible borrower, then applying for more credit will have a minimal affect on your score. But if you appear to be an irresponsible borrower, then the inquiry may drop your score a few points, or several points. Nice piece. I was checking continuously this blog and I’m impressed! Extremely helpful information specifically the first part. I care for such info much. I was looking for this particular information for a very long time. Thank you and good luck. We are a group of volunteers and starting a new scheme in our community. Your website provided us with helpful information to paintings on. You’ve done a formidable activity and our whole neighborhood will probably be thankful to you. friend the content on your website I found useful. friend the info on your blog I found useful.